There is a conflict that reflects a deep divide in today’s American culture – a conflict that, if resolved, could pave the way for our nation to come together and successfully address the issues that fill the airways. 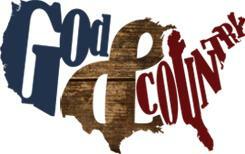 In May Andy Stanley of North Point Community Church preached a two part series of messages called God and Country. They are challenging and relevant to the times we are living in. Take some time and watch these two messages. Next Next post: Let God do the fighting.